When most people think of tile, they think of a uniform pattern. But tile doesn’t have to be so square - you can liven it up in a myriad of ways. It’s true that tile used to be extremely limited when it came to design options, but now there’s a huge variety to work with, and here’s a few ideas to break out of the monotony. 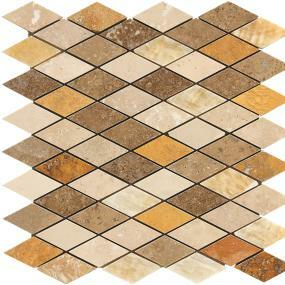 Tiles now come in squares, planks, wood-look, and a plethora of patterns, styles and sizes. 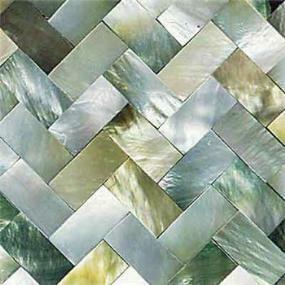 Additionally, mosaic tiles, most often used with backsplashes, come in shapes that were never before available. Honeycomb tile was a historically popular alternative to squares, as was basket weave and penny round, but now you can have tiles shaped in variations of just about any geometric shape and beyond. Chevron, arabesque, scalloped, kites and a vast selection of unique shapes are now available to give a space a unique look and feel. And these mosaics aren’t just for backsplashes - you can incorporate them into a beautiful design for the flooring as well. A tile design pattern can be made that much more interesting by playing with color. Use the same tile shape on the whole floor and trim out the edges with a contrasting hue, or create a colorful pattern to dress it up. You can also use different shapes of tile in the same color/pattern for a more subtle differentiation, or variant shades of the same color. Another unique way to dress up a room with tile, especially a bathroom, is to carry the mosaic design from the floor up to the wall. You can also use the same tile from the floor over the entire space. Create subtle texture with a mix of different tile finishes - some high gloss and some matte - to create a more subtle design. 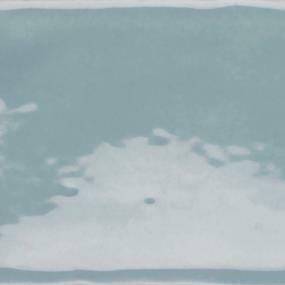 Using matte and glazed tile in the same color to create contrast is a trendy way to incorporate this tip. Using two different styles of tile, one matte and one glazed, will draw extra attention to the glazed tiles, especially if they’re a high contrast color. Review the inspiration for ideas, and the online catalog for tile product options, then add what you like to your myProSource Project Center. With the variety of tile color, shape and finish options, this is the perfect opportunity to really create a one-of-a-kind space that is uniquely its own style. Don’t be scared to try something that will stand out! If you’re afraid of going overboard, work with your local ProSource showroom team to help come up with something that will suit the desired style yet still be stylish.